NOT FOR MANY A DAY will the traveller forget that mountain ride. So read the description of the journey along the twenty-five mile Bala branch in the GWR’s 1924 publicity booklet Welsh Mountain Railways. 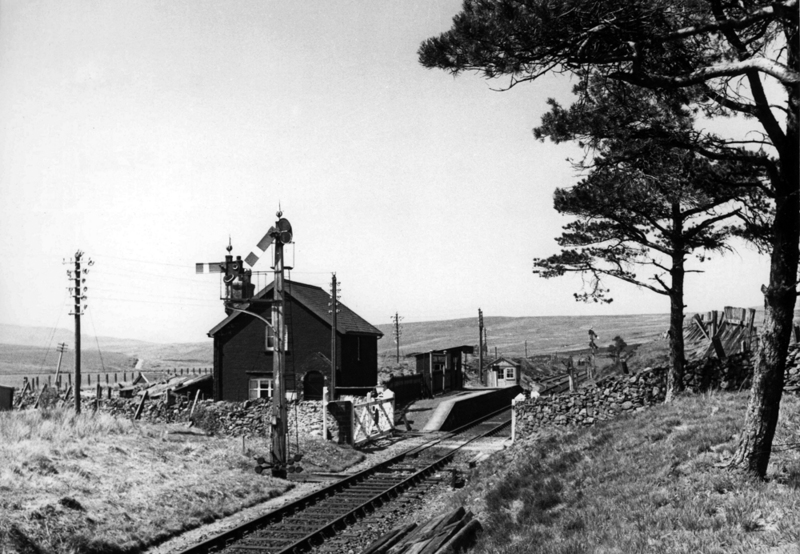 Running through the rugged Arenig Mountains in North Wales, the journey by train from Bala to Blaenau Ffestiniog was one of unique character. Leaving Bala Junction the line crossed the River Dee to Bala, before heading north west along the Tryweryn valley, past Frongoch with its unique but short-lived Royal Welsh whisky distillery, climbing past the granite quarry at Arenig, 1,000 feet up in the shadow of Arenig Fawr before reaching the windswept 1,200 feet summit at Cwm Prysor. The line then descended towards Blaenau Ffestiniog, clinging to a rock ledge along the spectacular valley of the Afon Prysor. 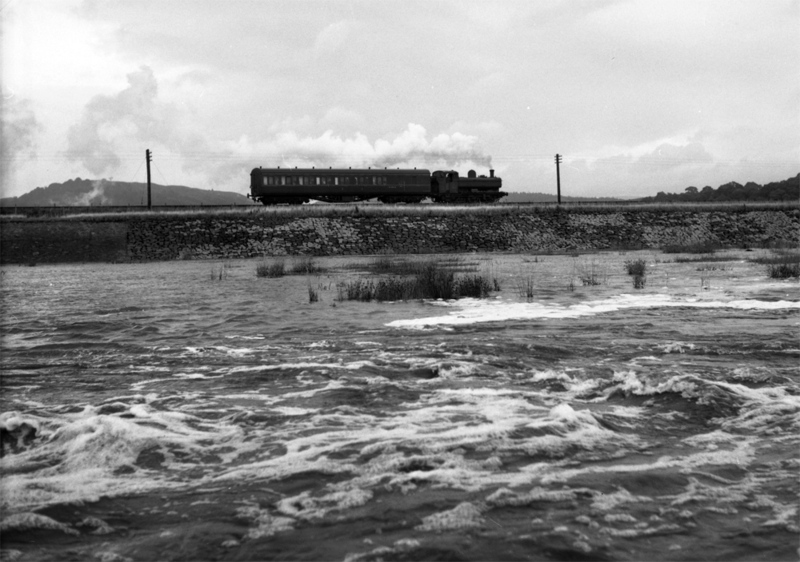 Passing Trawsfynydd, with its lake and once busy military station serving the nearby artillery training camp, the line turned north past Maentwrog Road, then followed the route of the former narrow gauge Festiniog & Blaenau Railway through Festiniog, Manod and Tan-y- Manod before reaching the terminus – the slate capital of Blaenau Ffestiniog. 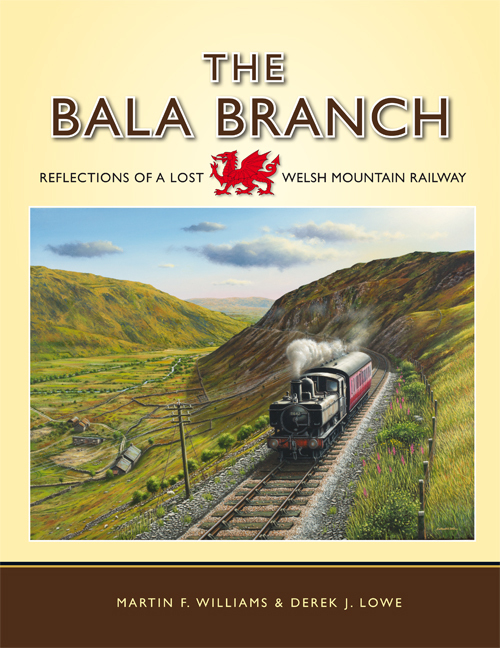 Authors Martin F. Williams and Derek J. Lowe have enjoyed a lifelong interest in the Bala to Blaenau Ffestiniog line, its people and history. Many years of research have brought them into contact and close friendship with many who knew and worked on the line, providing a rare working insight into its day-to-day operation. Using hundreds of photographs, with several in colour and many hitherto unpublished, together with informative text and captions, they take the reader on a fascinating journey along the line, back through time – from its earliest days until its closure to passengers in 1960, prompted by the flooding of the valley and the trackbed at Capel Celyn for the building of a reservoir to supply the City of Liverpool.